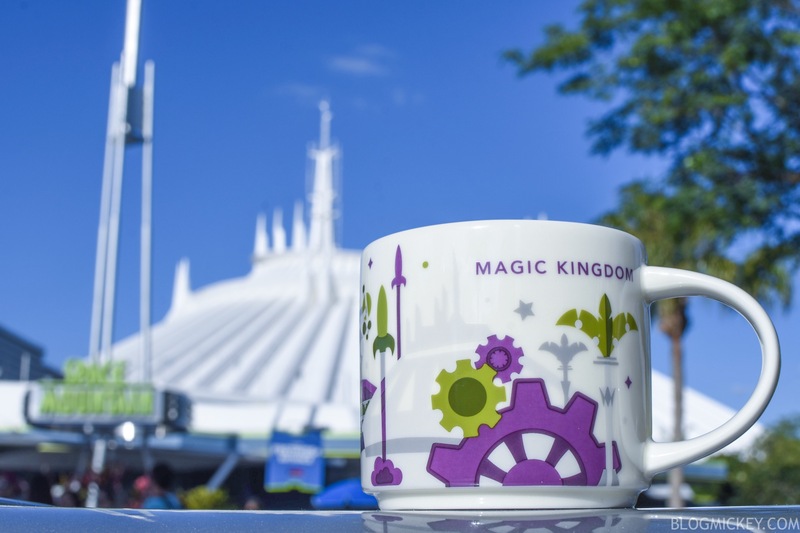 A brand new Starbucks “You Are Here” mug debuted today at Magic Kingdom. 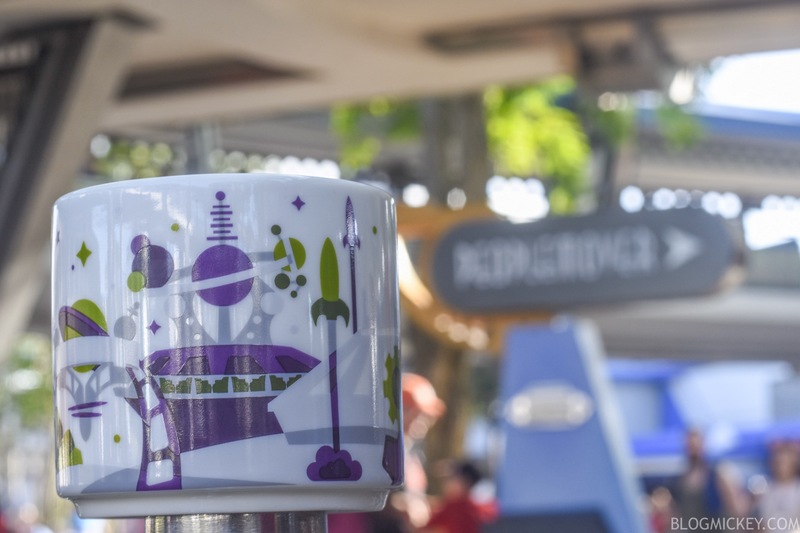 The mug is themed to Tomorrowland and retails for $16.99. 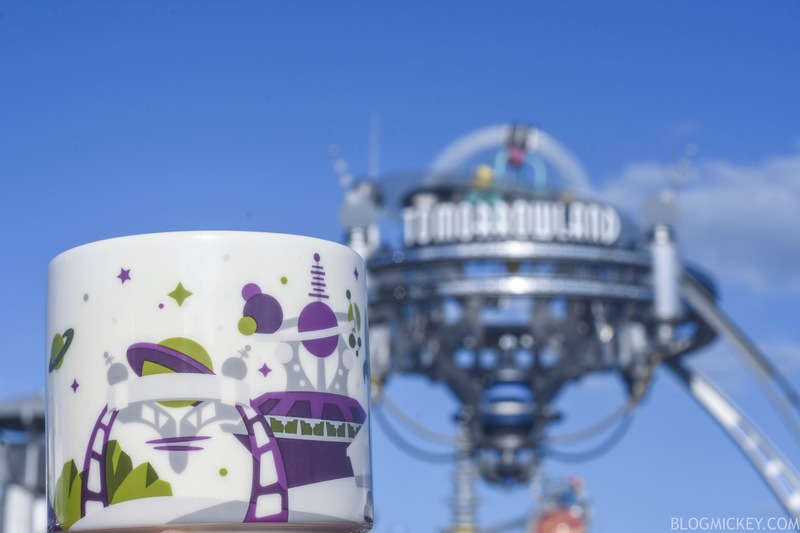 The mug features a few stylized landmarks, new and old. Here we can see the Tomorrowland entrance sign and some futuristic rock formations. Another side features Space Mountain and some (now extinct) gears. The palm trees of the future can also be seen. Finally, we can see the Rocket Tower Plaza structure, complete with Tomorrowland Transit Authority PeopleMover vehicles and the Astro Orbiter. The mug is in extremely limited supply right now, but we expect more to show up in the coming days.